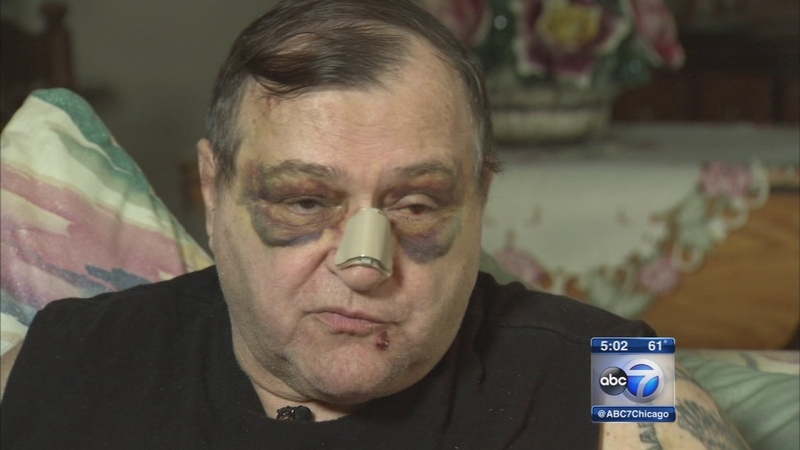 PALOS HILLS, Ill. (WLS) -- A man accused of beating a Palos Hills veteran now faces more a serious charge. Richard Jones says he was attacked when he asked a driver to slow down. Michael Seno was originally charged with misdemeanor battery. That charge has now been upgraded to a felony.